Diesel Power Unlimited was first established in July 2010 By owner - Brendan Cook. We are a proud family owned and operated business currently located in Mackay QLD. Brendan has always had a passion for everything Diesel starting from a young age achieving award for the best graduating student in Automotive, for the Pilbara region in Western Australia. From there he completed his apprenticeship as a Diesel Technician working for some of the most highly regarded companies in the world such as Caterpillar. When Diesel Power began in 2010 with just Brendan working field service from his trusty F250 he soon expanded with the hard work of 2 good mates ( The Hagger Brothers). Within 12 months our reputation had grown putting demand on for further employees leading us to a team of 16 professionals working throughout Australia and Overseas. As things grew Brendan finished in field service and took on the role of Managing the work force from head office as business grew so rapidly. However with constantly growing industries Brendan felt compeled to take his Diesel fueled passion to the next level and ventured overseas to complete training with the best in the business for Diesel Tuning. From here he hit the ground running carrying out Custom DPU tuning throughout most states in Australia, DPU had now made it's mark in the tuning industry requiring the need for more dealers in Australia. 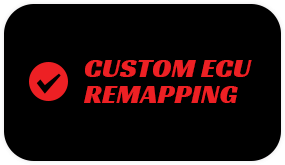 For the past 5 years we have now been specialising in our own custom tuned DPU Performance Remaps and our famous DPU Performance Modules. All of our DPU products are custom tuned in house on our state of the art Dyno Dynamics Dyno and are tried and tested to suit all Australian conditions.